We can beat any internet price! Just contact us for a quotation. 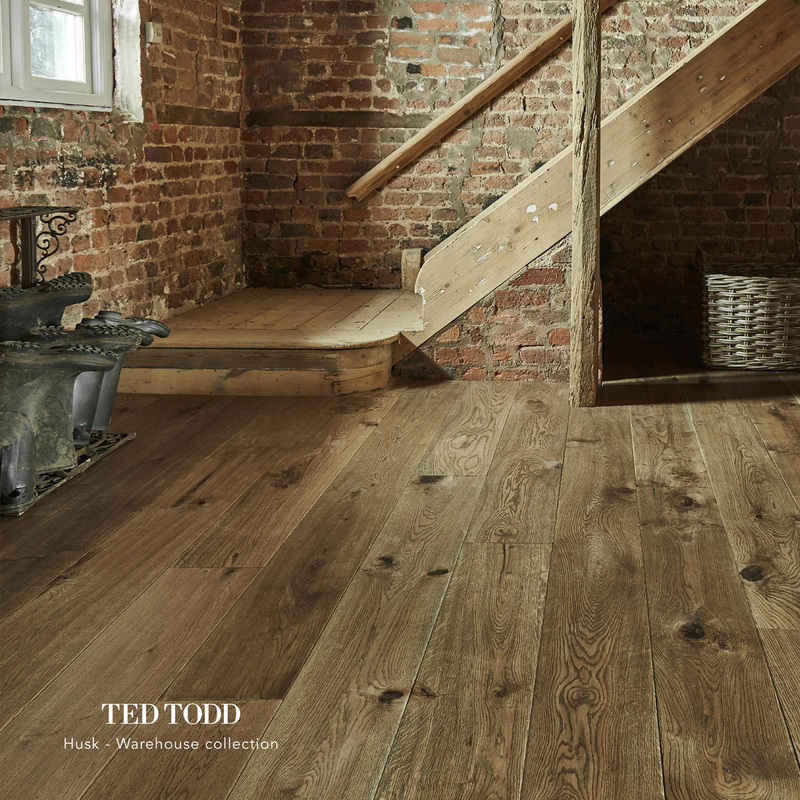 We at Artisan Timber & Flooring are nationwide suppliers and professional installers of all Ted Todd flooring to Trade and Retail customers. 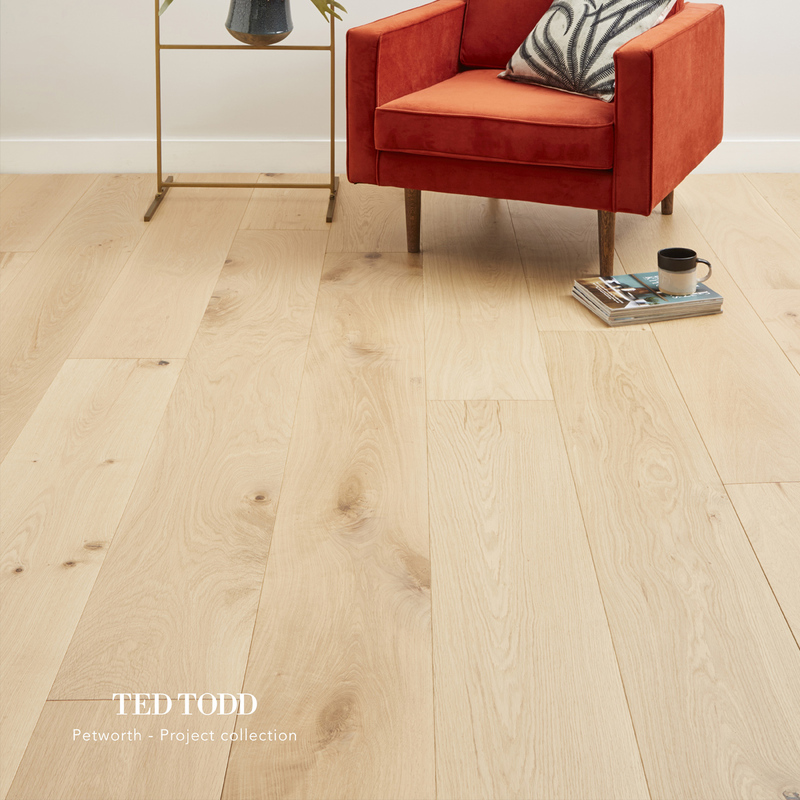 We’ve been in the industry for 15 years and developed a name as one of the ‘go to’ experts for Ted Todd and other wood floors. 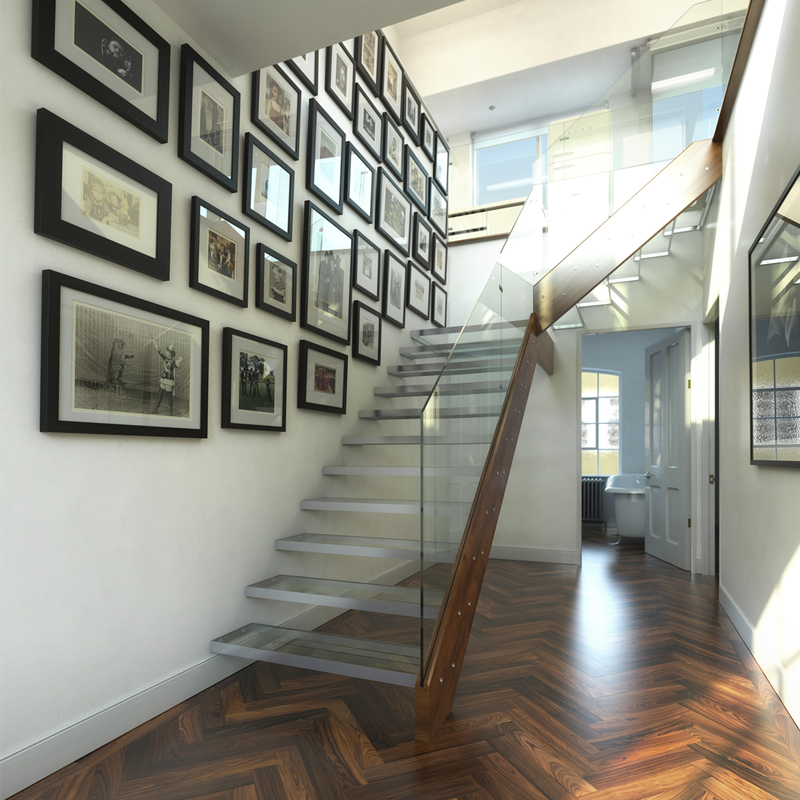 Visit our dedicated showroom with huge display panels of all their major products. 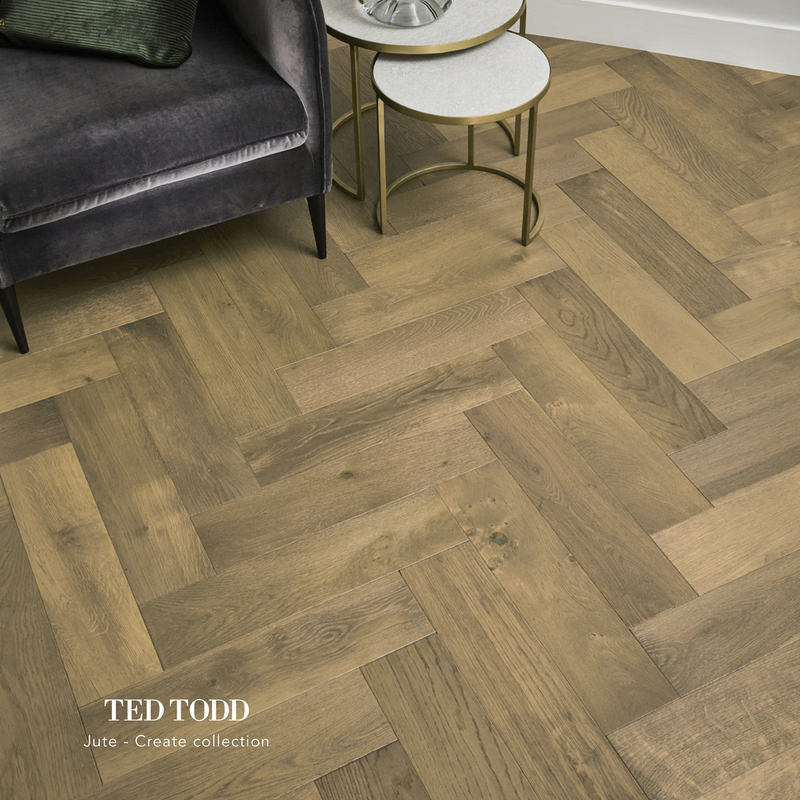 Our Ted Todd collection offers a dynamic range of engineered wood flooring and we have an array of finishes with unique features such as 300mm wide planks, brushed grain, medullary rays, knots, colour variation, stains and unique surface finishes. No appointment is necessary. 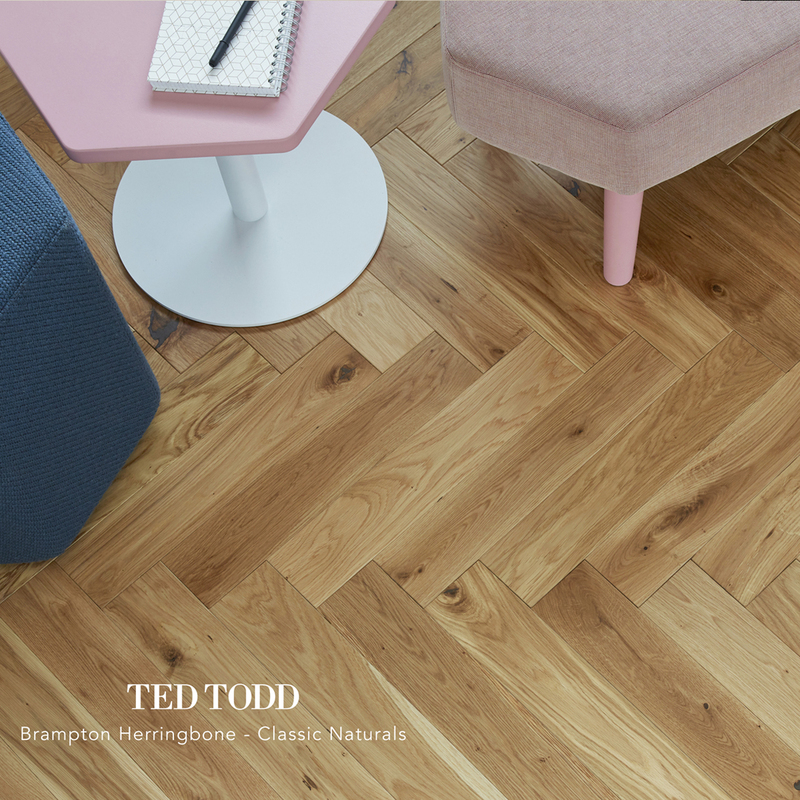 We love the fact that Ted Todd are committed to supplying wood floors that are 100% natural and from sustainable, well-managed forests, mostly made and sourced in Europe. Contact us now for unbeatable supply only or supply and installation prices with a one year guarantee on our workmanship. Interested in a free survey? Click below! We cover Buckinghamshire, Oxfordshire, Hertfordshire, Berkshire, Bedfordshire, Surrey, Southern England, most of London and anywhere in between! 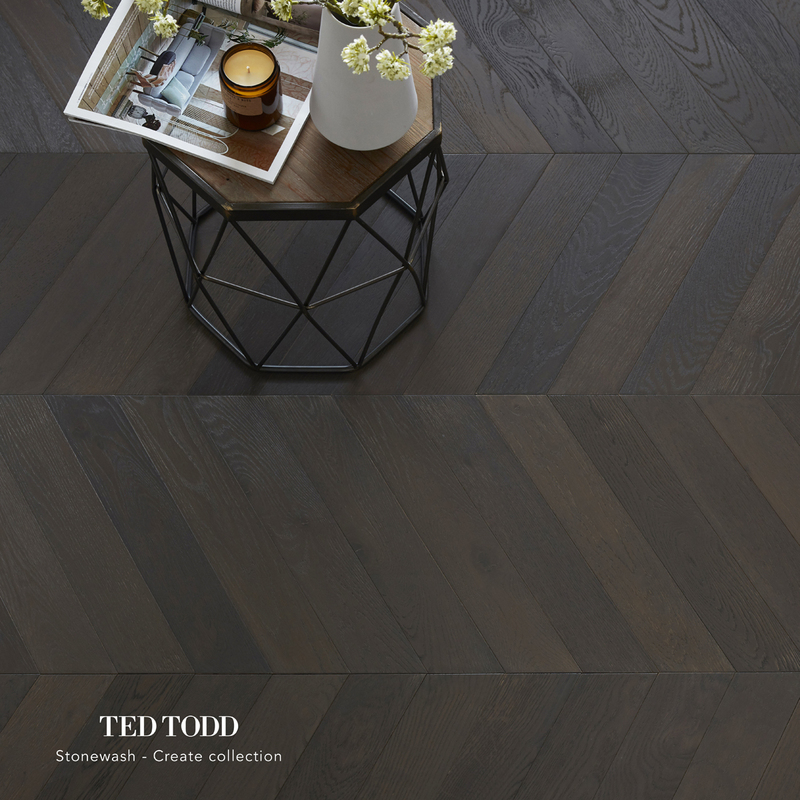 Do you want to see the full range of Ted Todd products? Please request a brochure by clicking here. Select the titles and you will automatically be taken to the chosen section. 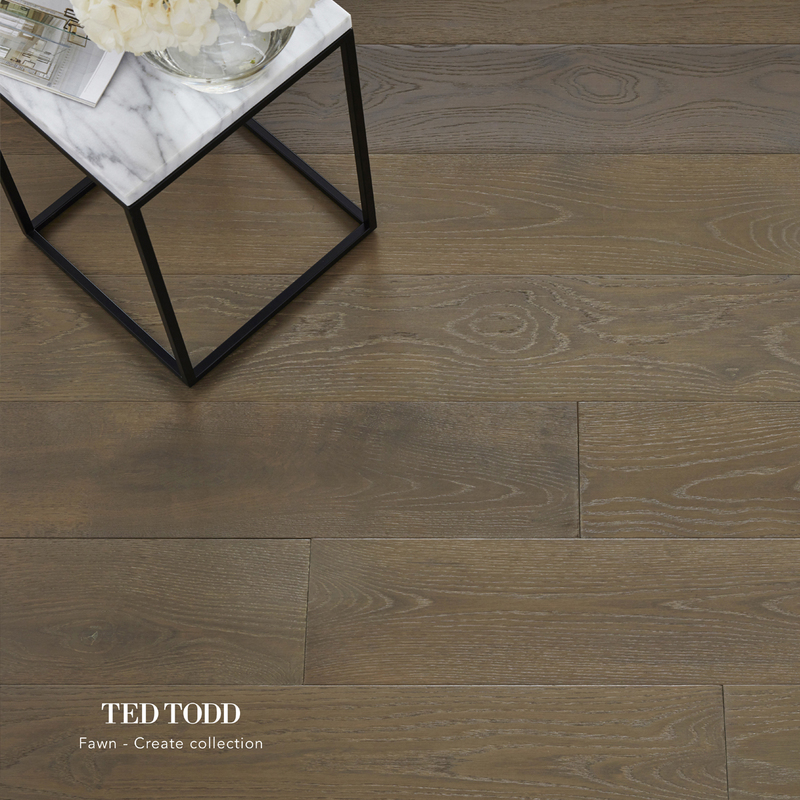 Ted Todd’s Project Collection consists of a variety of tones and colours from chestnut browns to modern grey pebble. This collection is a perfect balance between price and quality. 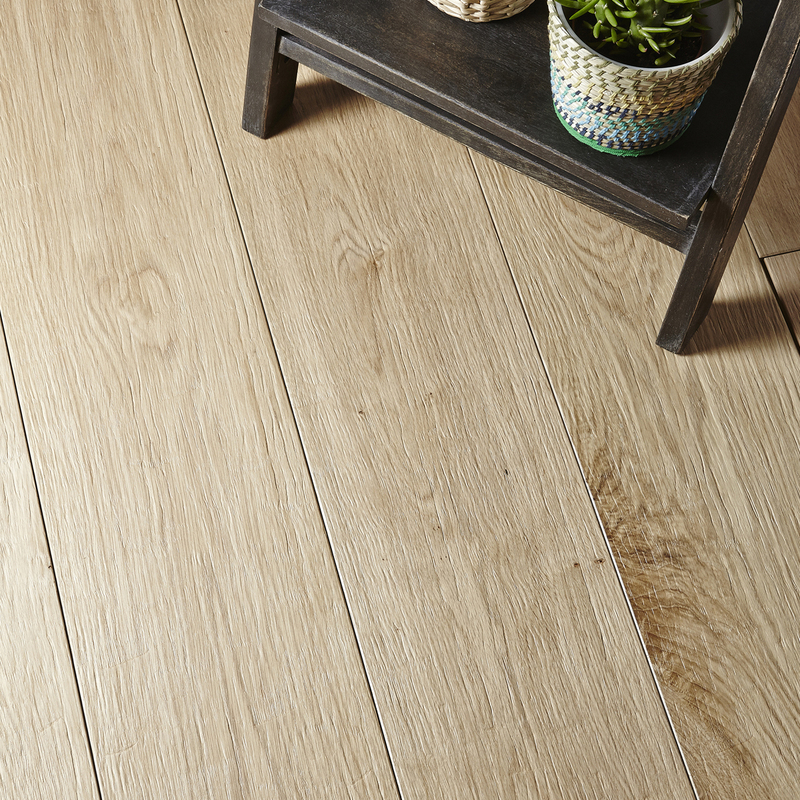 15mm European Oak, 3 layer construction and 4mm hardwood wear layer. Please note that our online prices are not our best price, we can match and beat nearly every quotation. Please contact us by clicking the below button. Do you want to see the full range of Project products? Please request a brochure by clicking here. 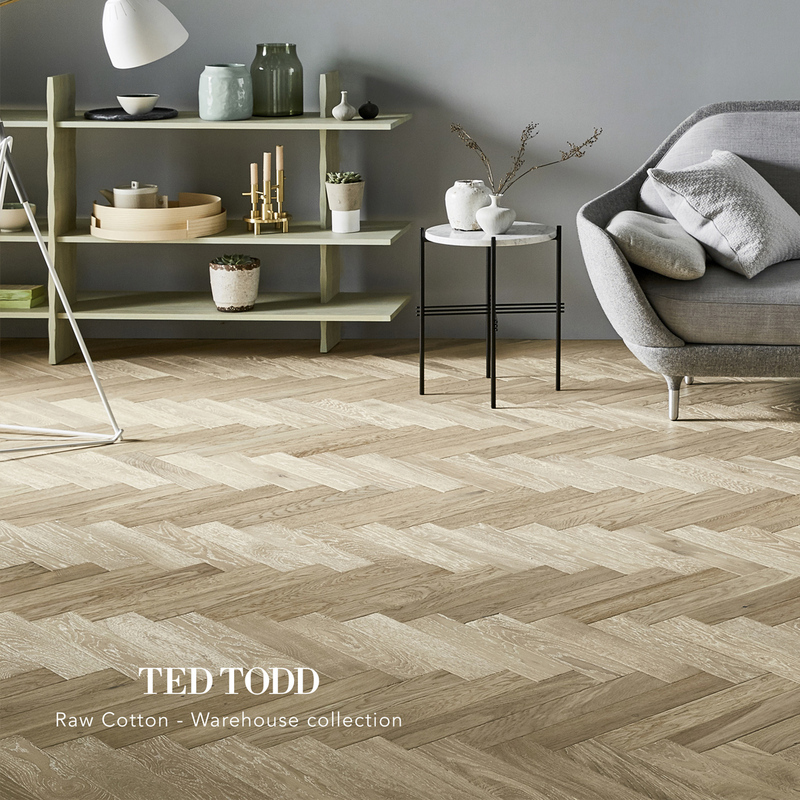 Ted Todd’s Warehouse Collection boasts open grain patterns and undulating textures in both beautiful herringbone and wide planks. 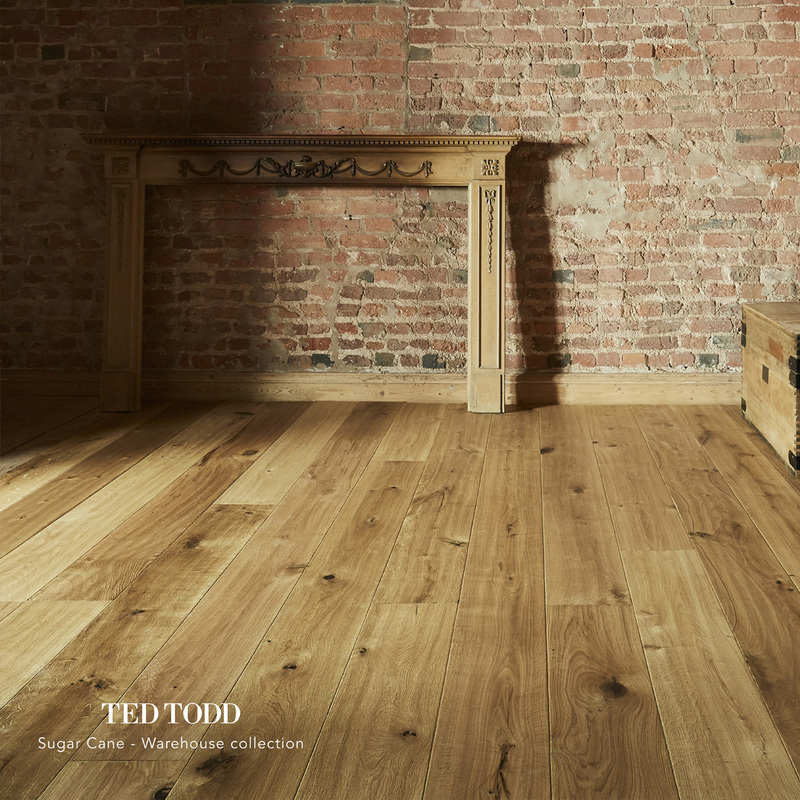 15mm & 20mm European Oak, 190mm & 220mm, engineered and 4mm & 6mm hardwood wear layer. Do you want to see the full range of Warehouse products? Please request a brochure by clicking here. 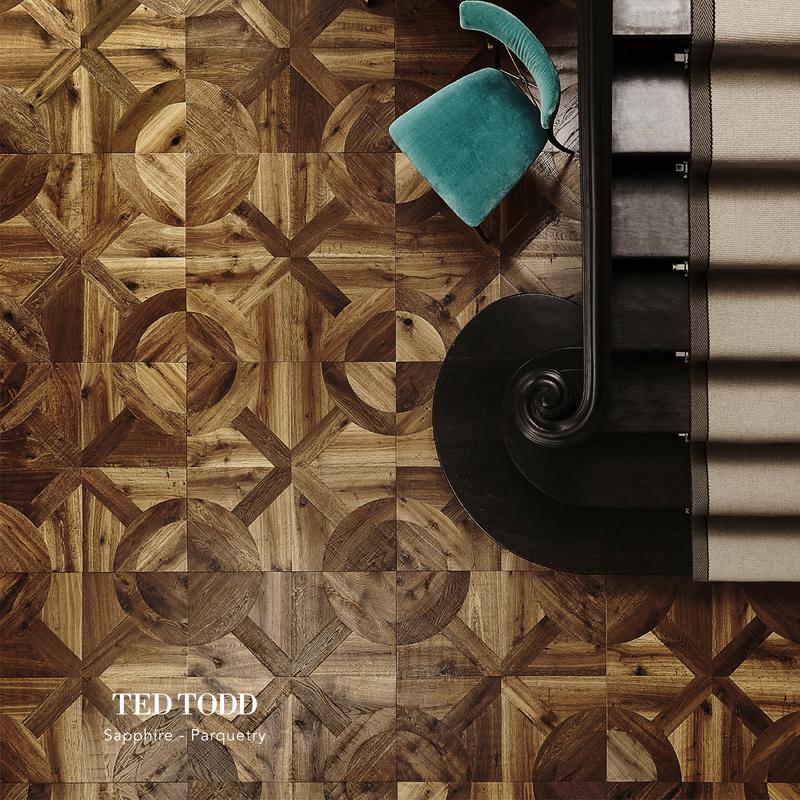 Ted Todd’s Crafted Textures Collection offers textured surfaces with a subtle reclaimed appearance. 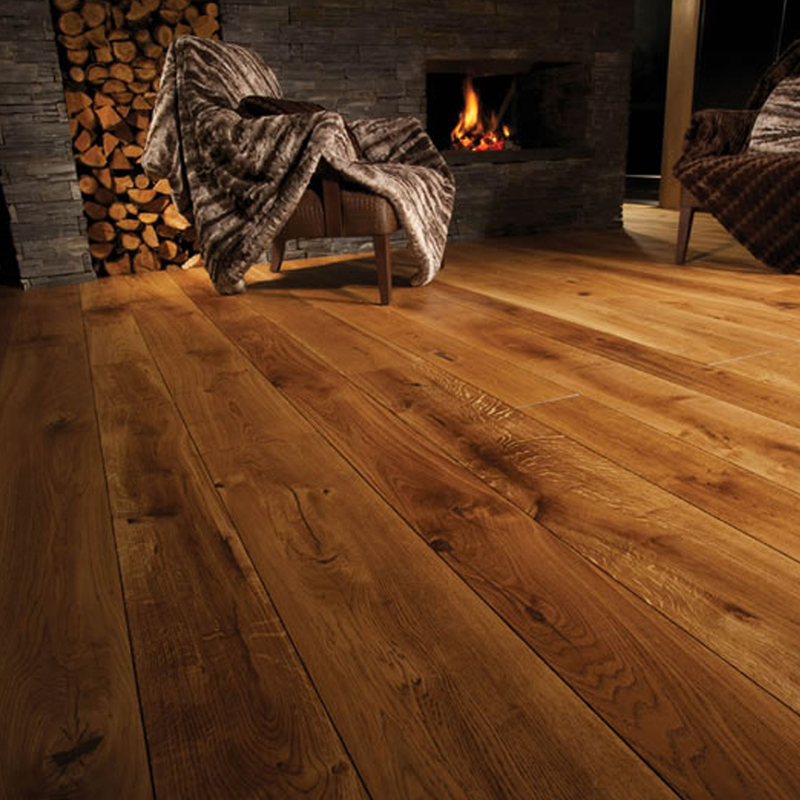 15mm & 20mm European Oak, 100mm, 150mm or 220mm wide, 2 ply engineered and 4mm or 6mm hardwood wear layer. 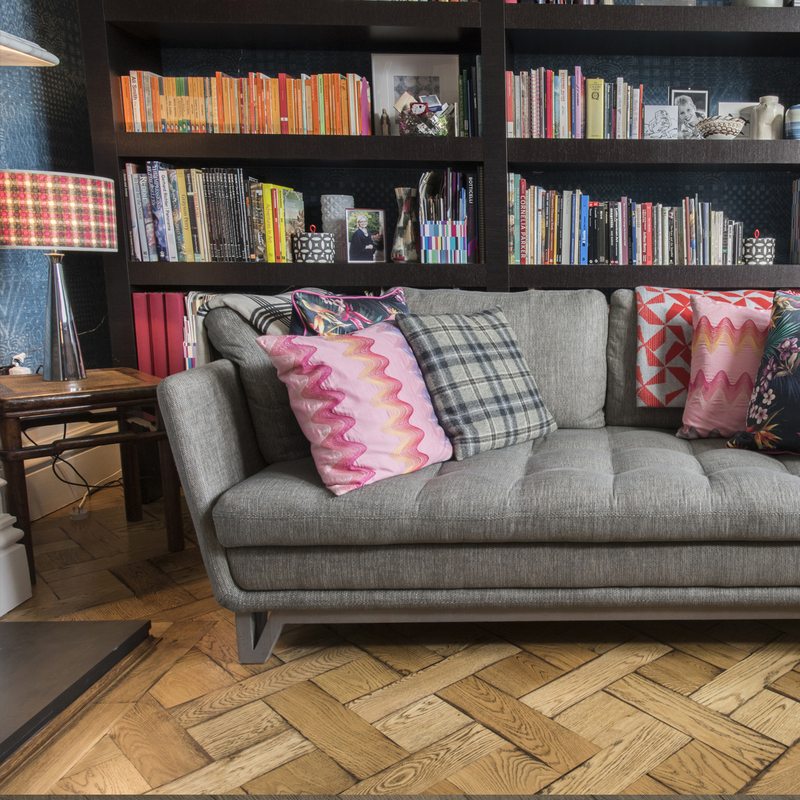 Do you want to see the full range of Crafted Textures products? Please request a brochure by clicking here. 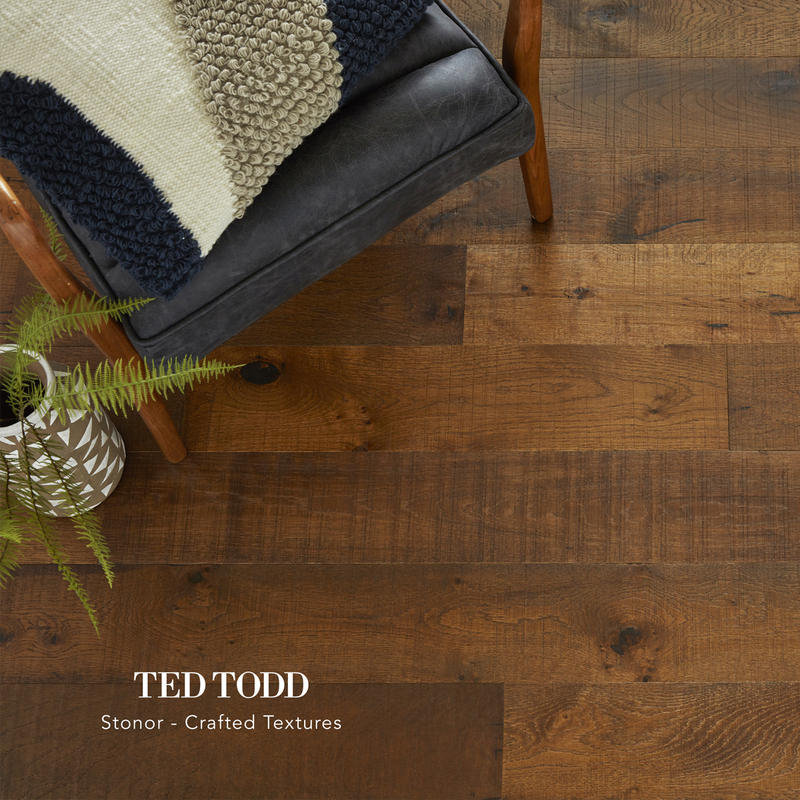 Ted Todd’s Classic Tones are available in 25 options to suit your taste. 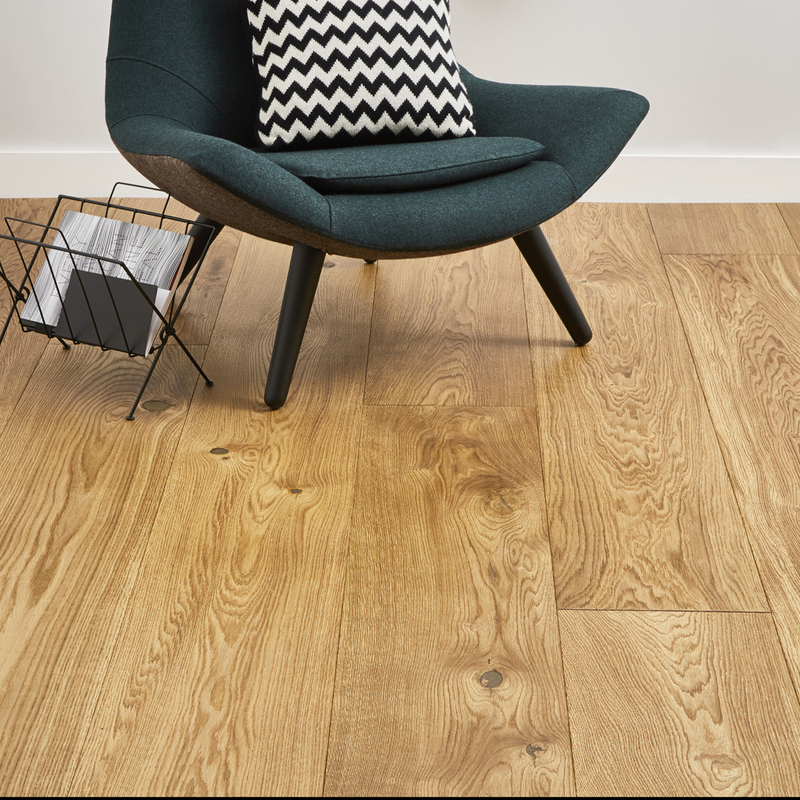 15mm and 20mm European Oak, variety of widths, 2 ply engineered and 4mm or 6mm hardwood wear layer. 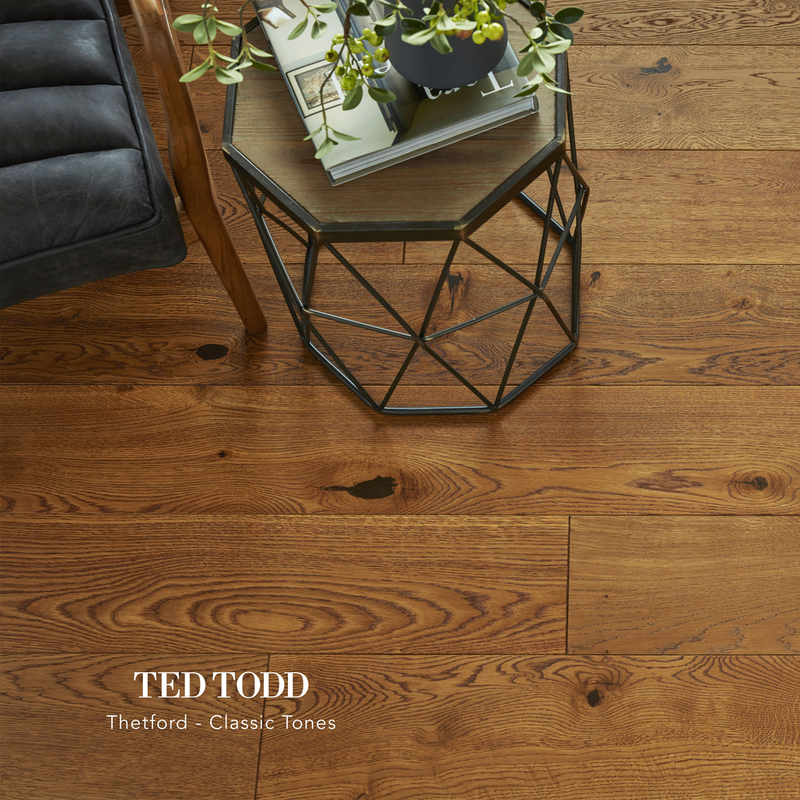 Do you want to see the full range of Classic Tones products? Please request a brochure by clicking here. 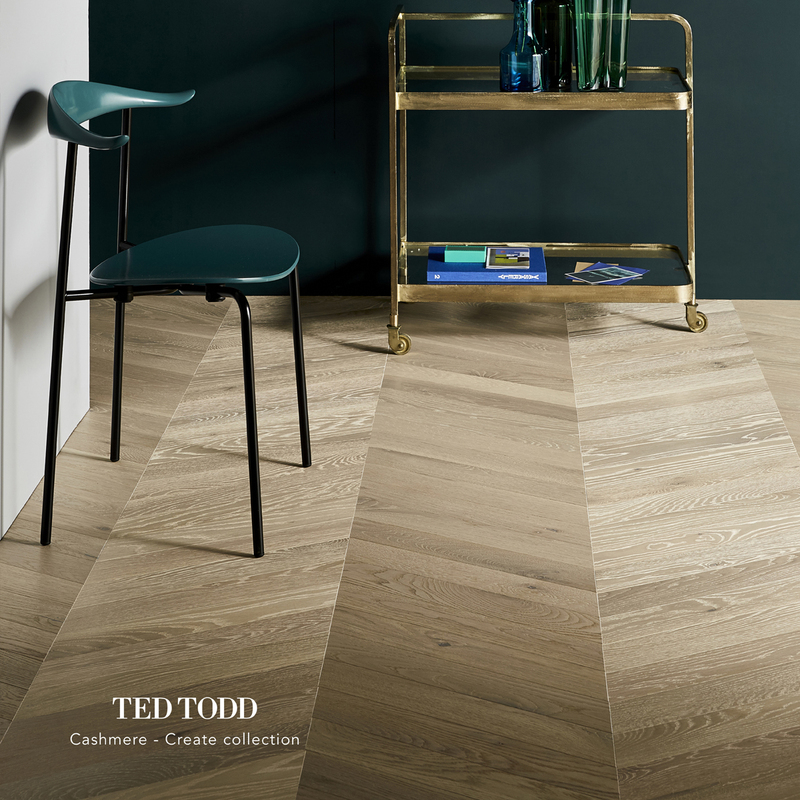 Ted Todd’s Strada collection combines style and durability with its multi-layer finish helping make it scratch and abrasion resistant. 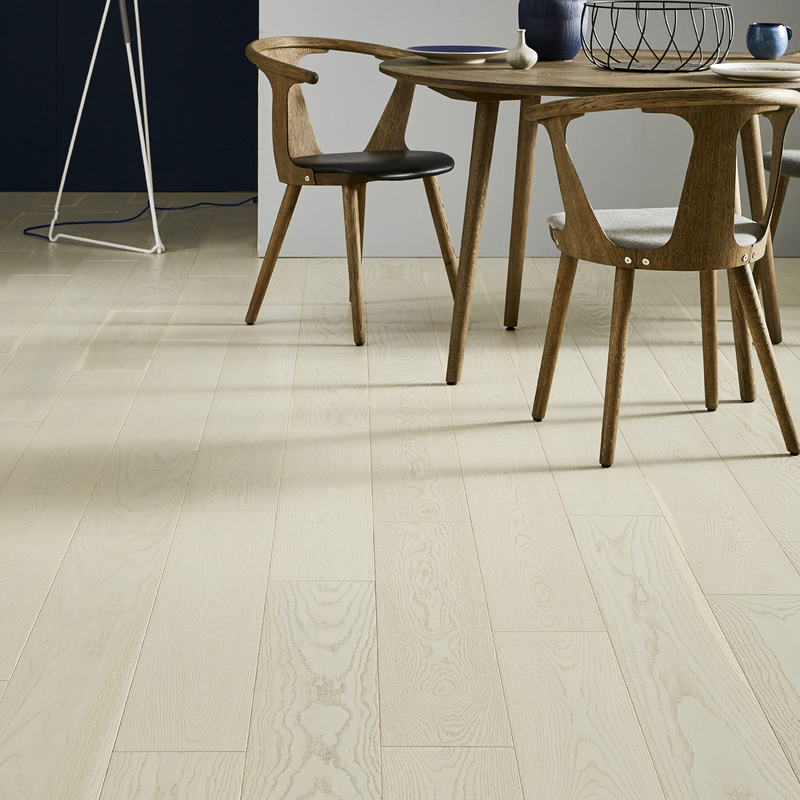 20mm European Oak, 2 ply engineered, 100mm and 180mm wide, and 6mm hardwood wear layer. 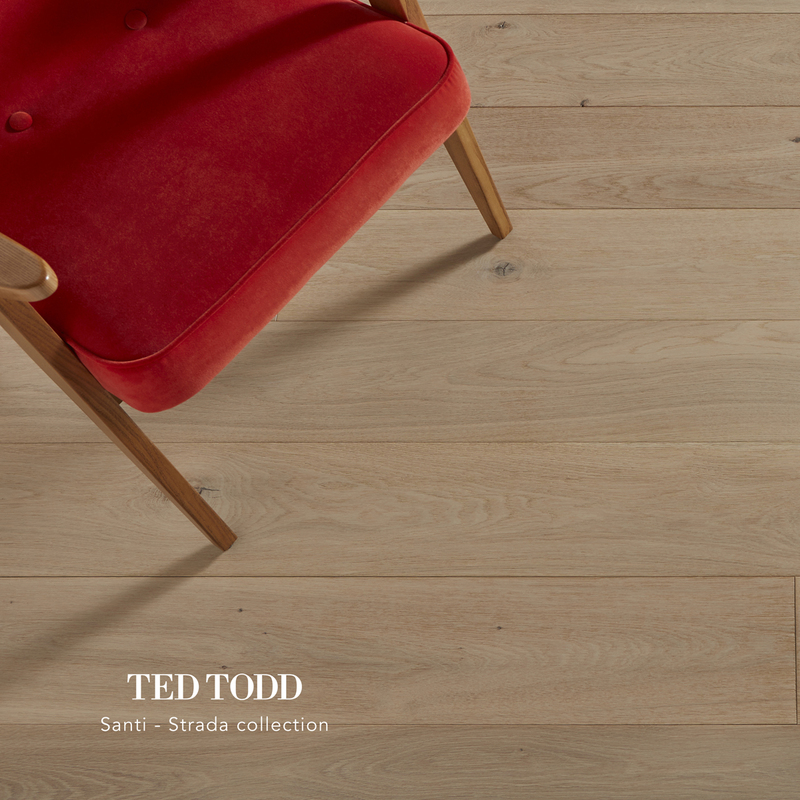 Do you want to see the full range of Strada products? Please request a brochure by clicking here. 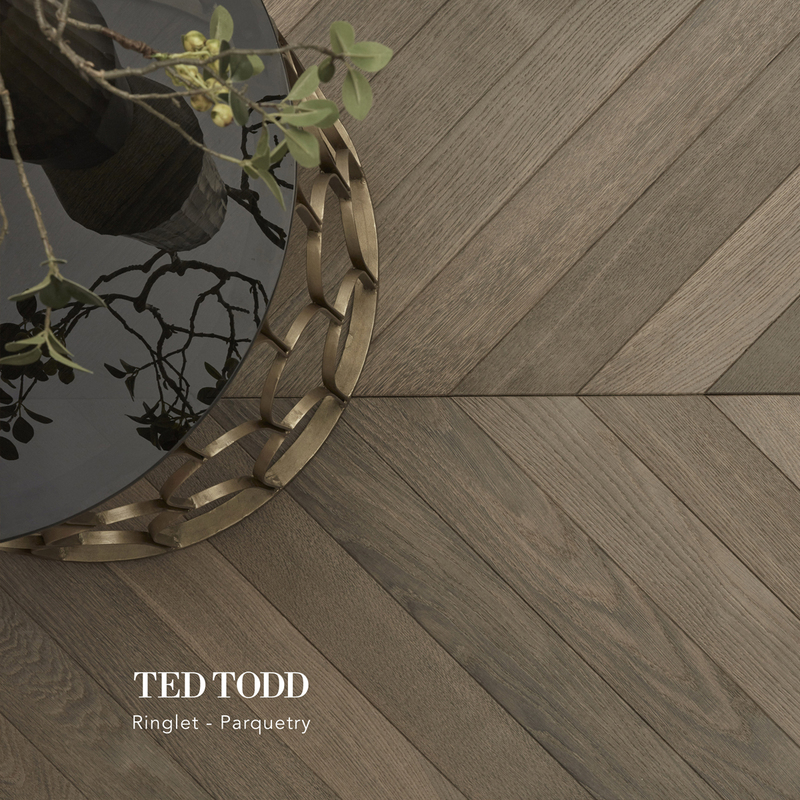 Ted Todd’s Specialist Woods collection are composed of American Black Walnut, Pippy Burr Oak, Douglas Fir, Morado in planks and herringbone. 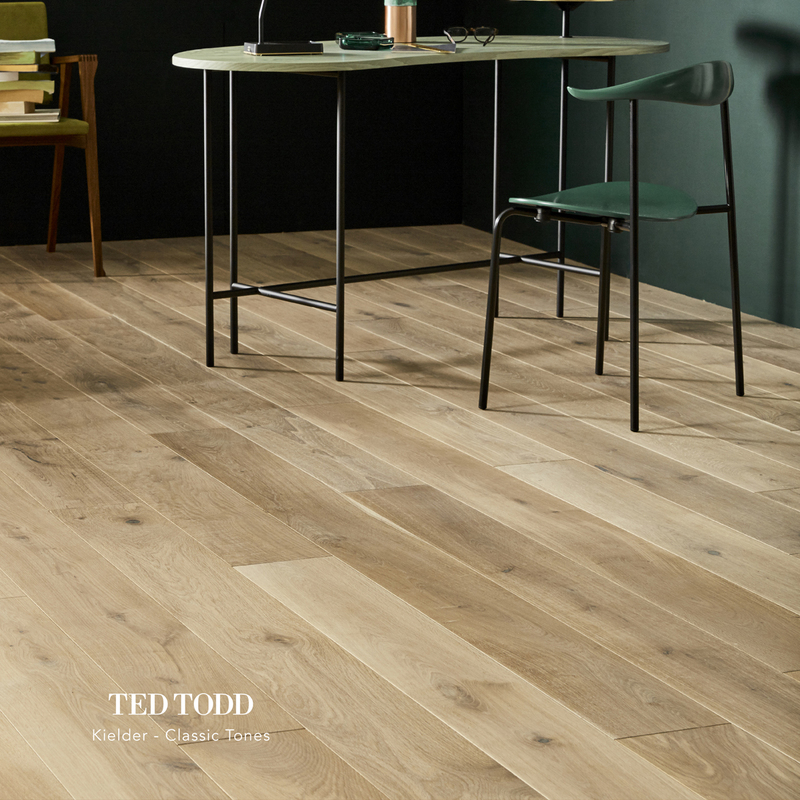 15mm and 20mm depth, 2 ply construction and a variety of woods. 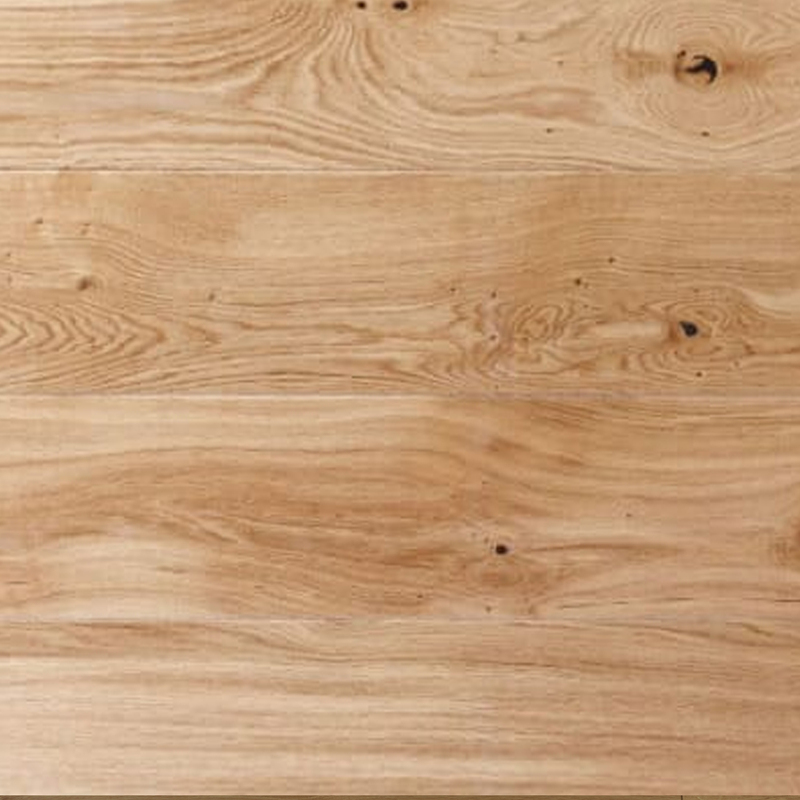 Do you want to see the full range of Specialist Wood products? Please request a brochure by clicking here. Great service, really good quality wood. It arrived bang on time and the team were very helpful in sending tips on aftercare and fitting. 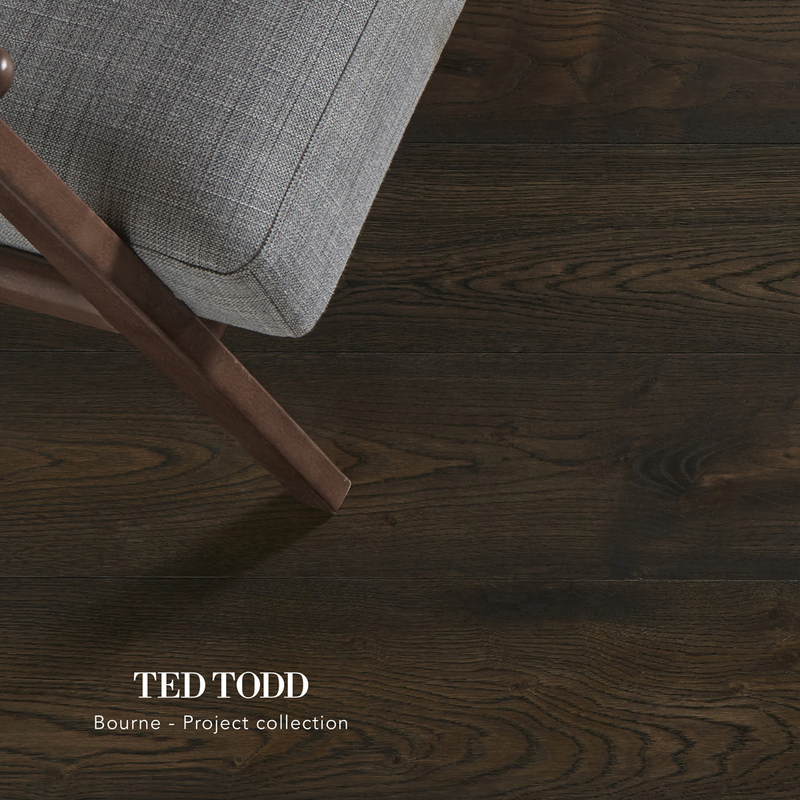 Ted Todd’s Create Collection offers a range of tones to mix and match from. 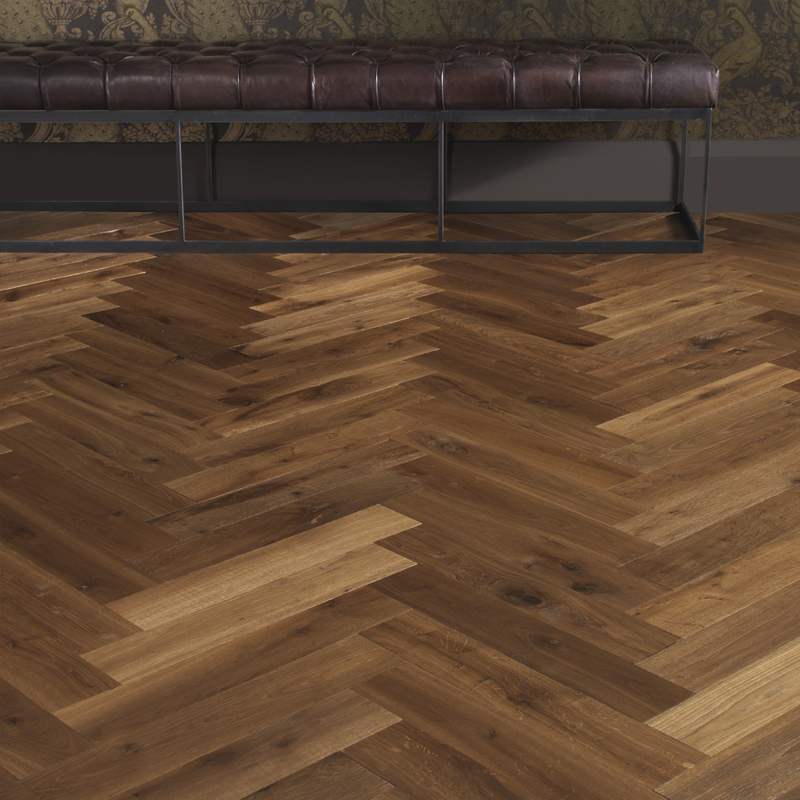 With chevron, herringbone and plank available you can create the perfect floor for your room. Do you want to see the full range of Create products? Please request a brochure by clicking here. 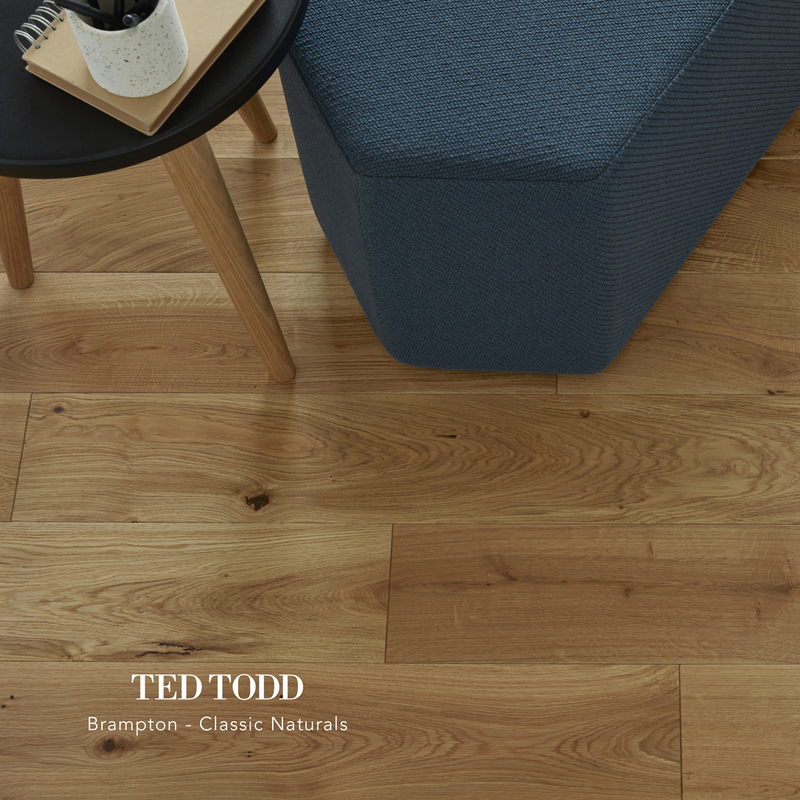 Ted Todd’s Classic Naturals are simple but high performing. 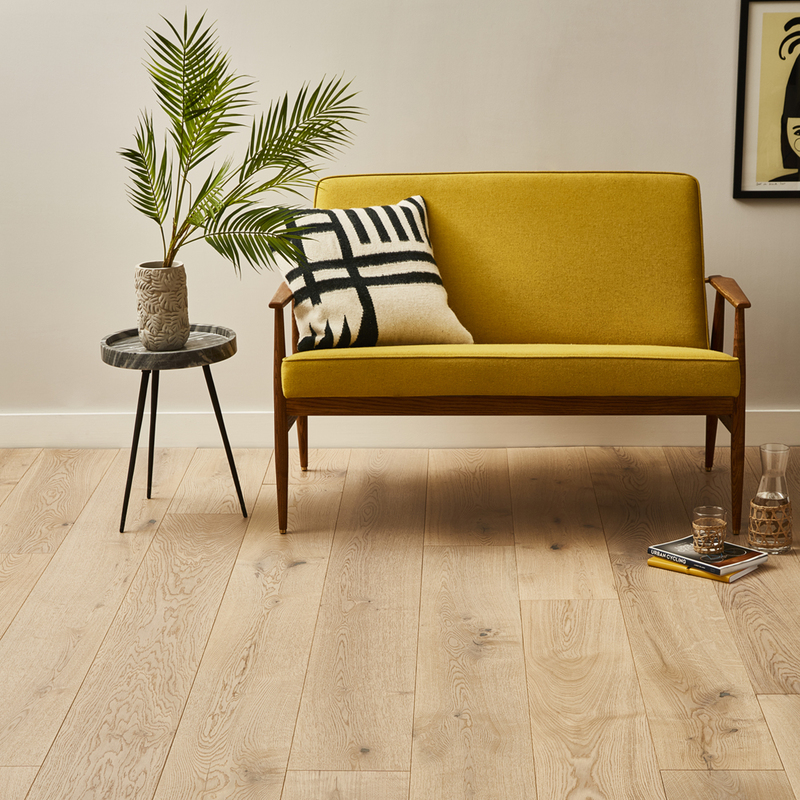 Crafted from slow grown European Oak and FSC certified. 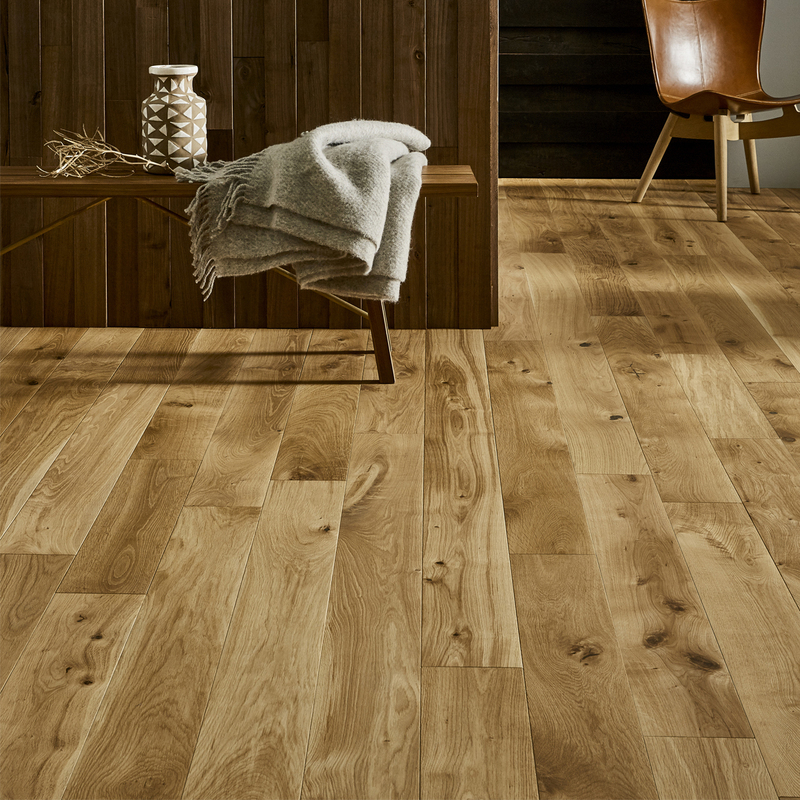 15mm and 20mm European Oak, 2 ply engineered and 4mm or 6mm hardwood wear layer. Do you want to see the full range of Classic Naturals products? Please request a brochure by clicking here. 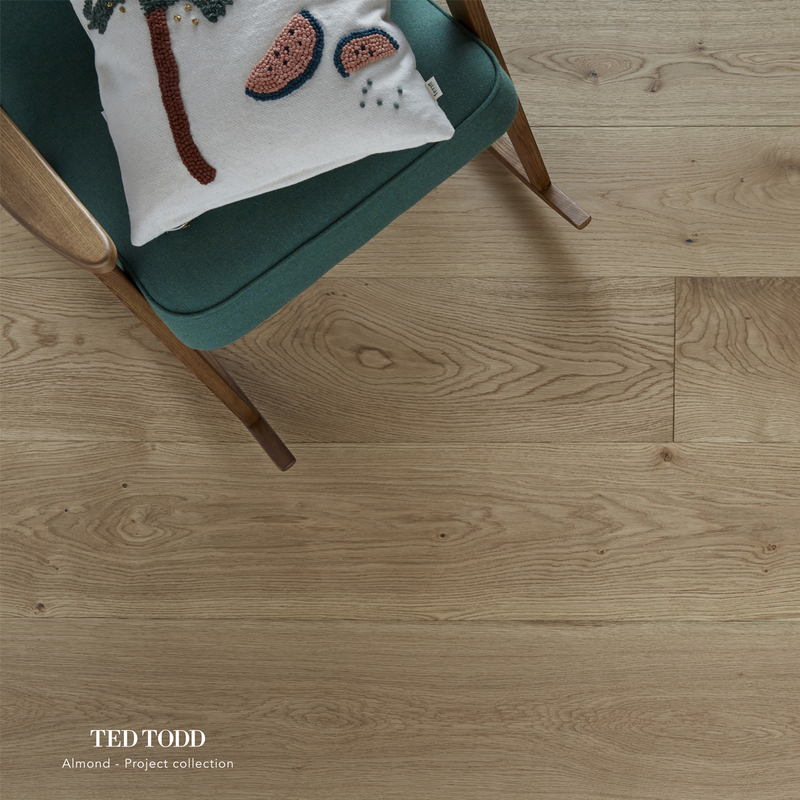 Ted Todd’s unfinished oaks are available in nature and prime grade. 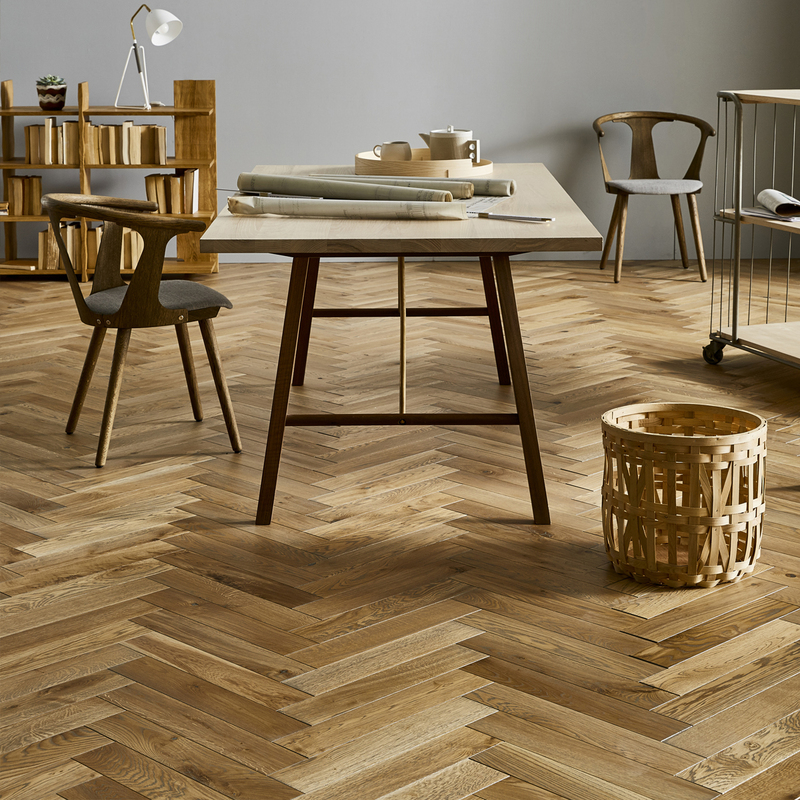 Plank and Herringbone are both popular flooring products. 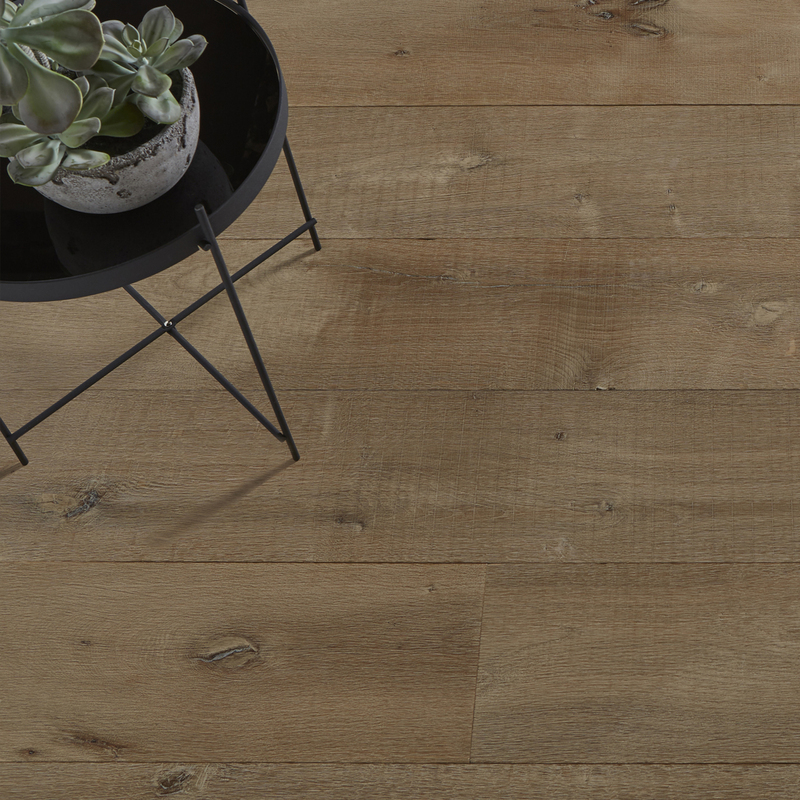 15mm, 20mm and 22mm European Oak, 70mm to 300mm and 6mm hardwood wear layer. 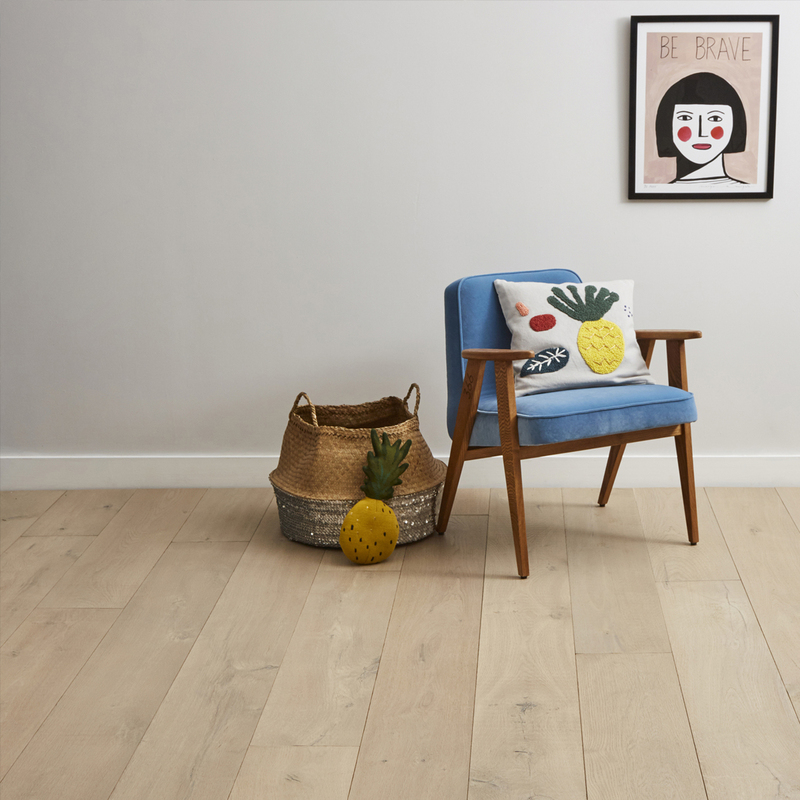 Do you want to see the full range of Unfinished Oaks products? Please request a brochure by clicking here. 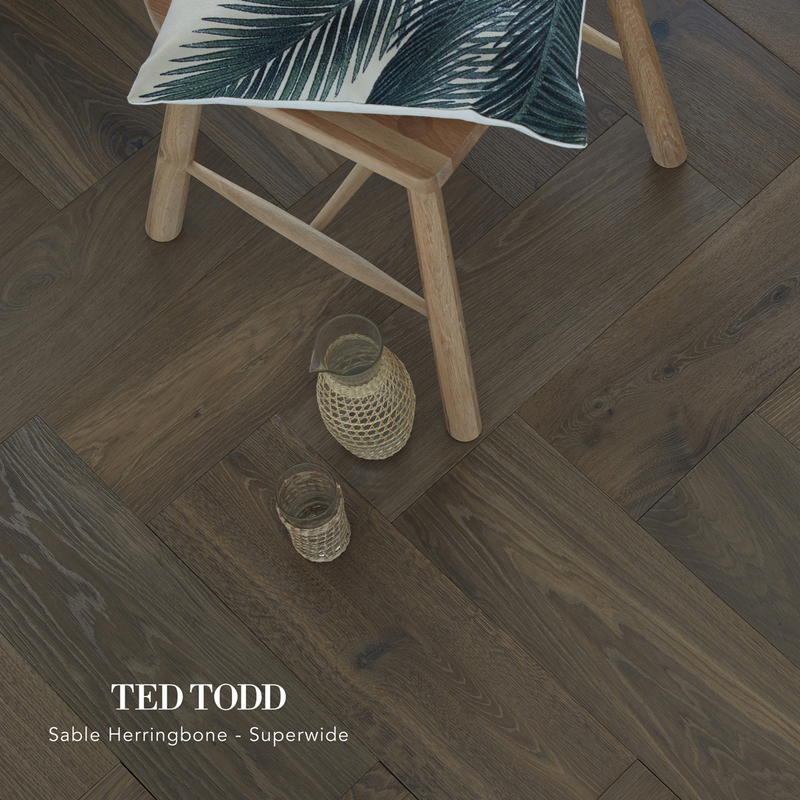 Ted Todd’s Woodworks range has a variety of collections, the above are a few of the highlights of the impressive floors. 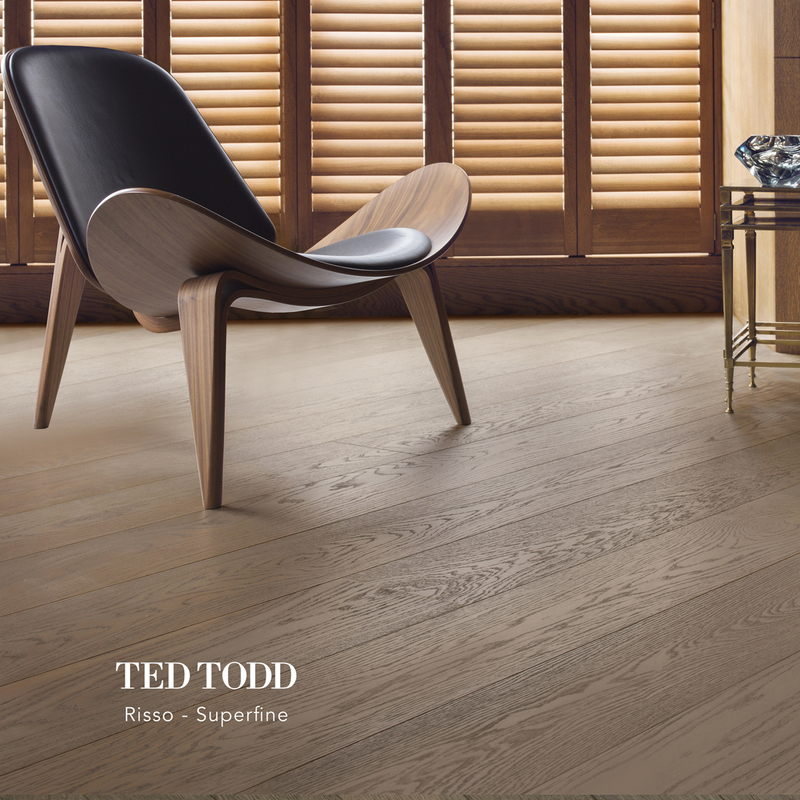 Ted Todd’s Superfine collection is carefully handpicked, with 1 in 1000 boards selected for this high quality collection. 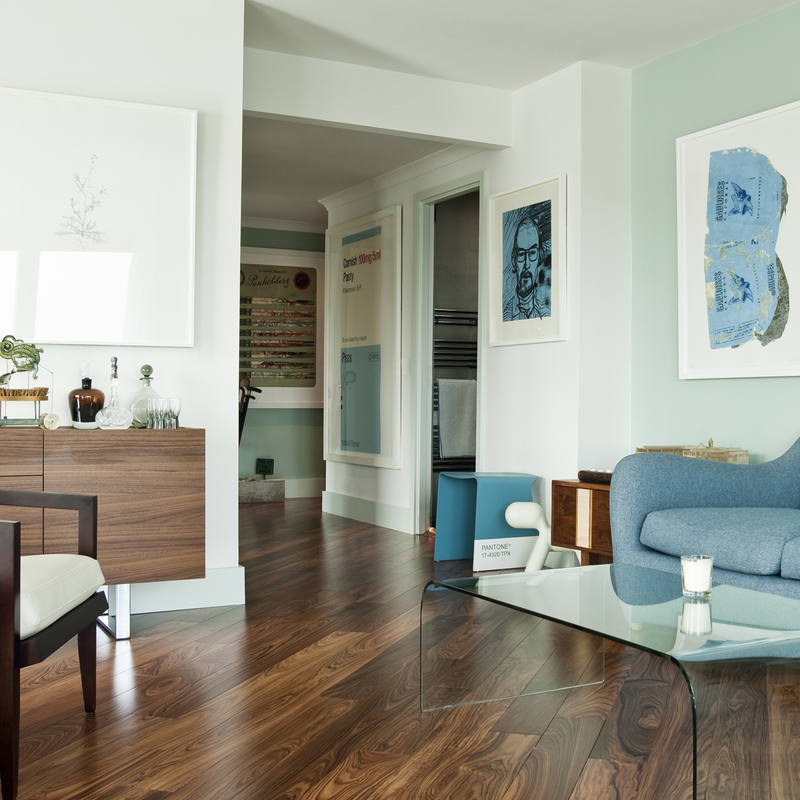 If you like a clean and prime looking floor this is ideal for you. 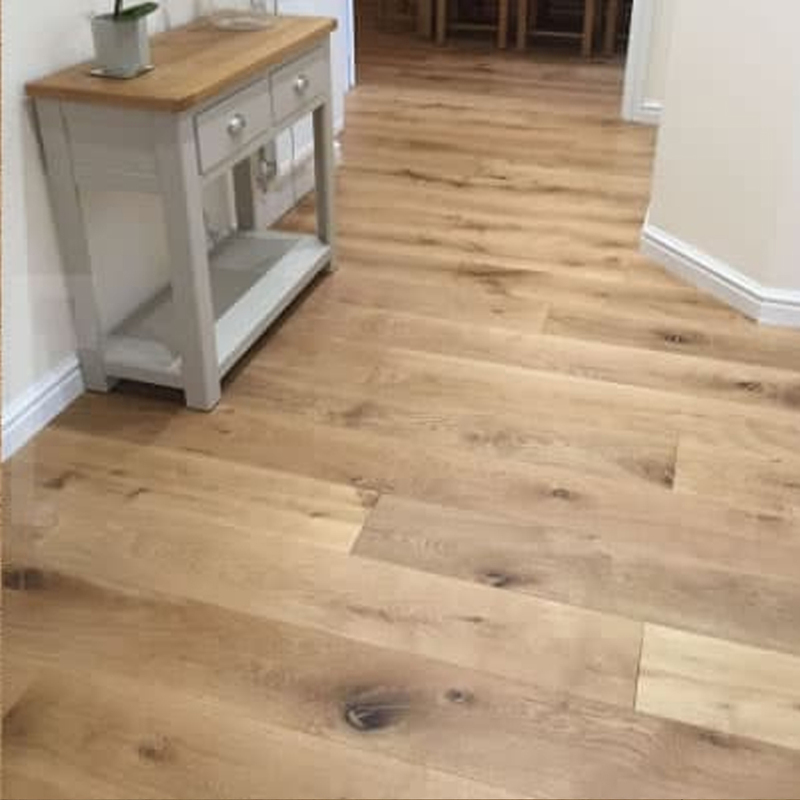 20mm European Oak, 2 ply engineered and 6mm hardwood wear layer. 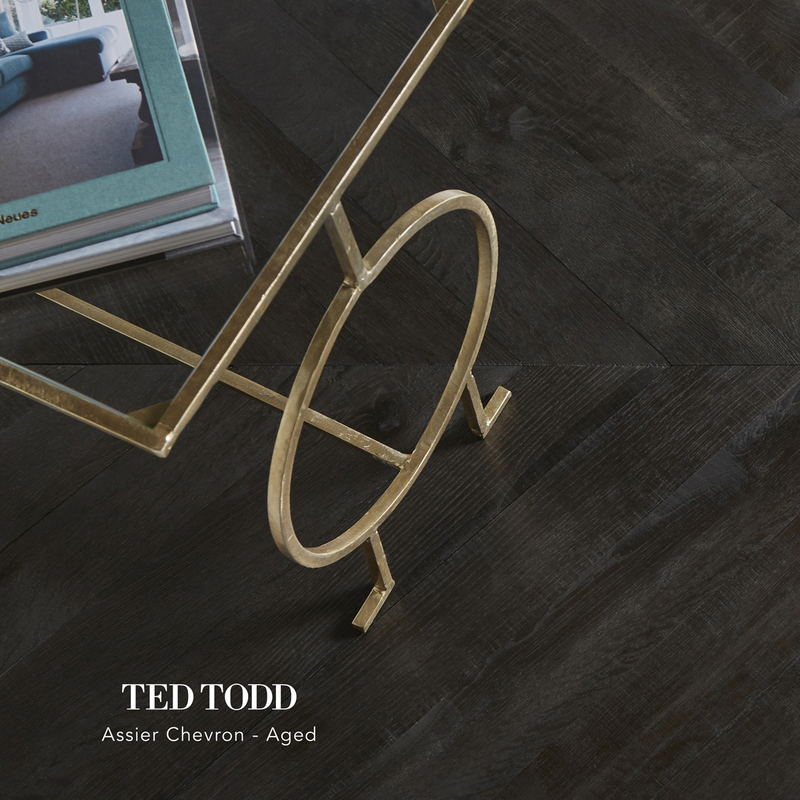 Ted Todd’s Editions collection are handfinished to elegant tones and textures. 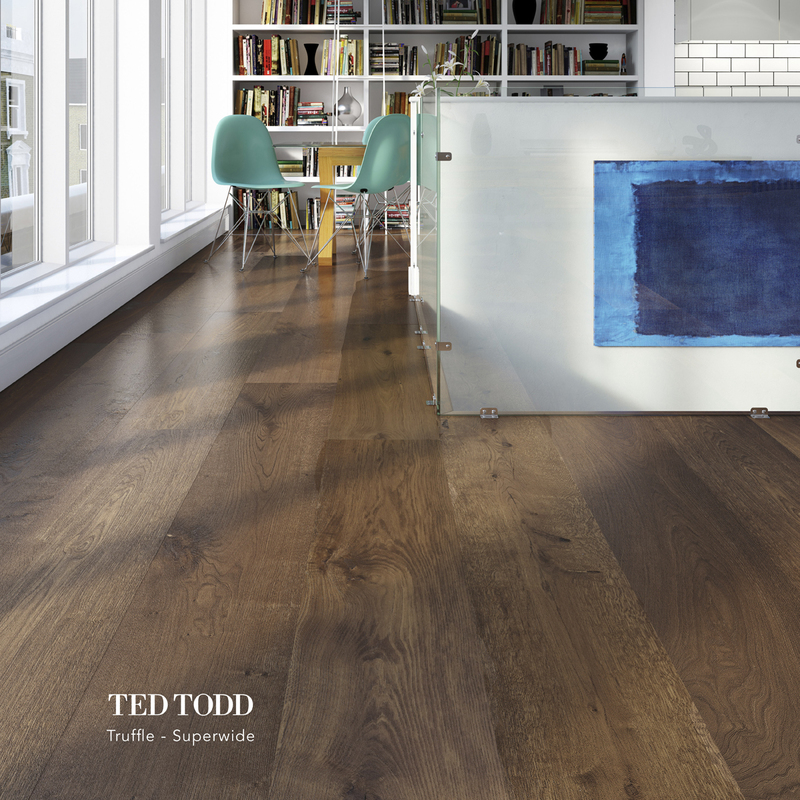 A variety of European Oak, Douglas Fir, Larch and American Black Walnut give the boards natural character. 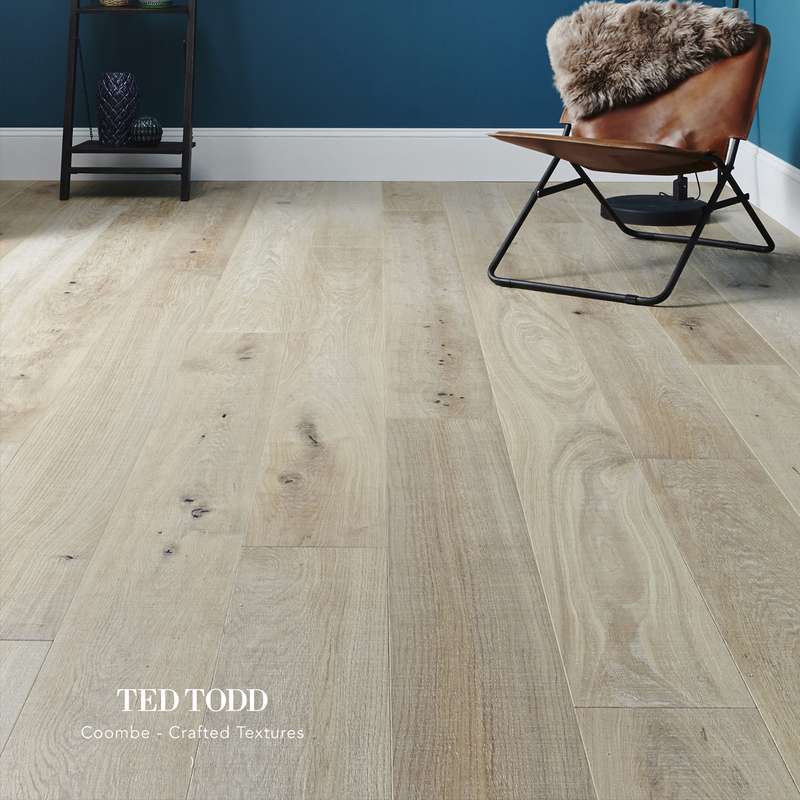 20mm, 2 ply engineered, 100mm to 300mm variety widths and 6mm hardwood wear layer. 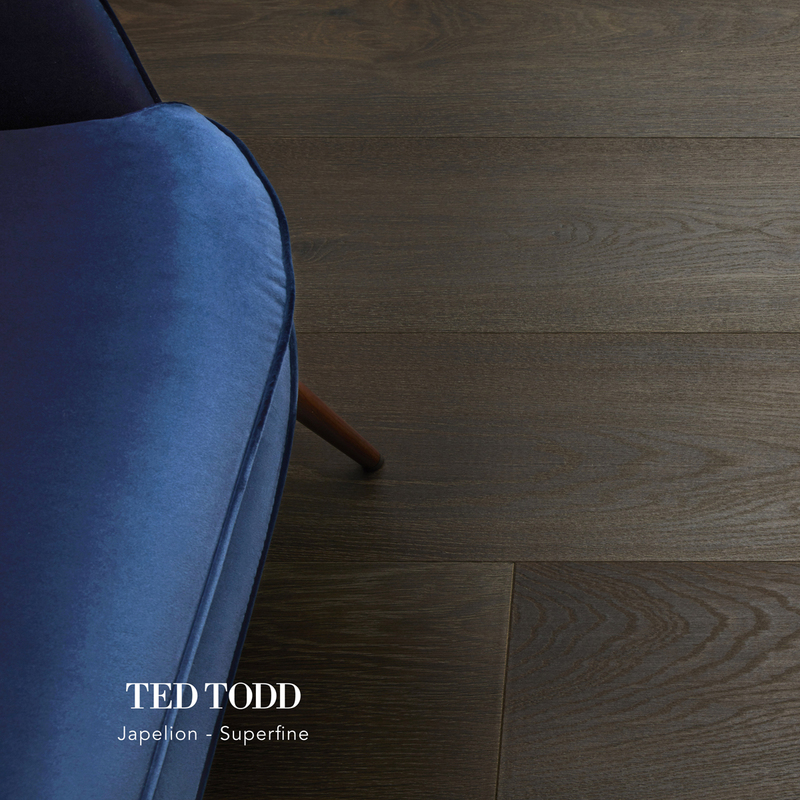 Ted Todd’s Aged collection is crafted from French Oak that has been left to season for 24 months. 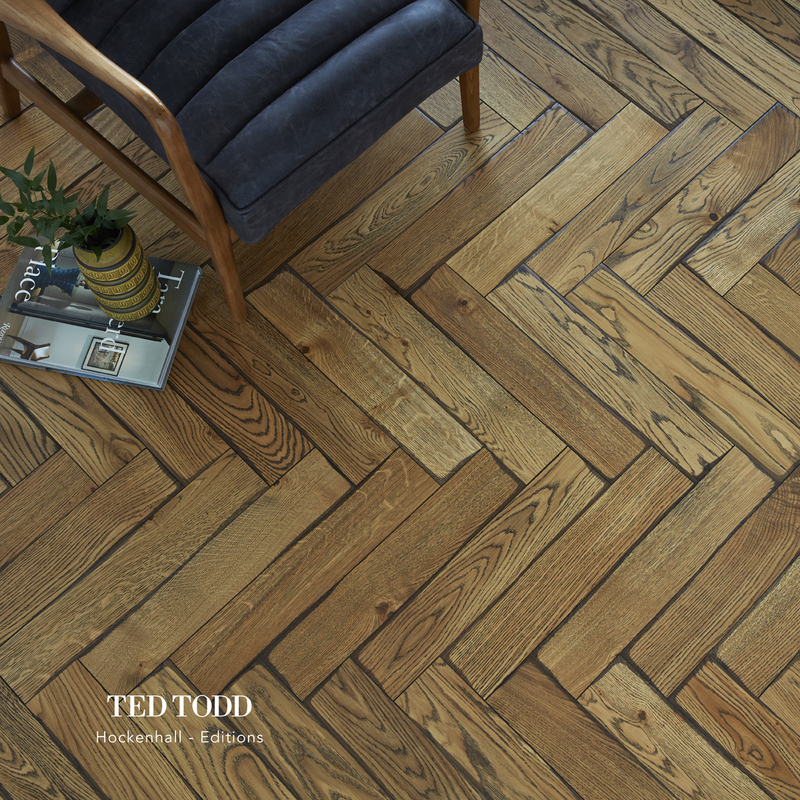 Available in plank, chevron, parquet de Versailles or herringbone design. 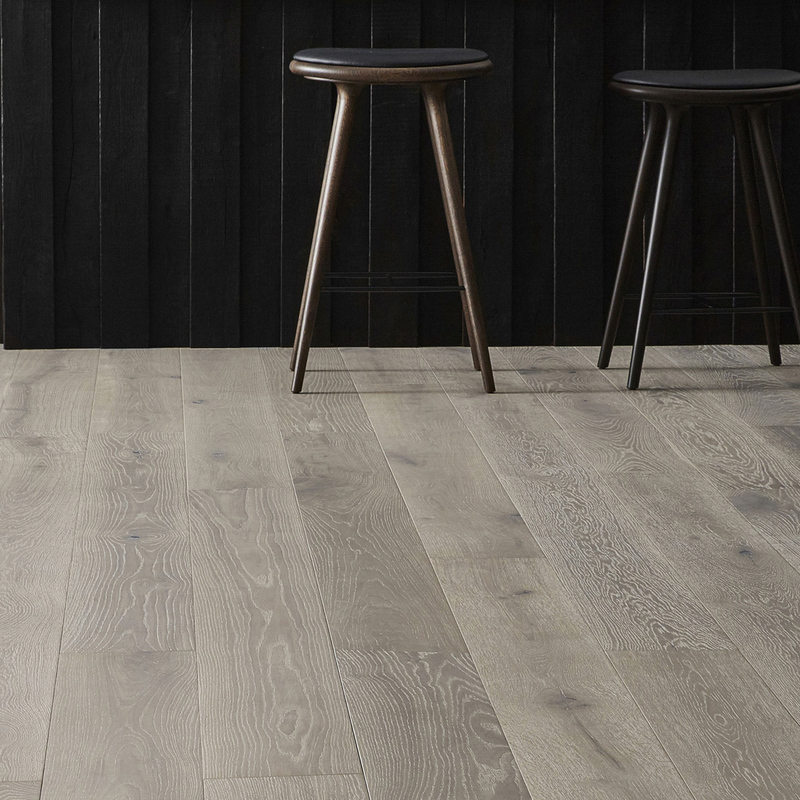 20mm French Oak, 90mm, 100mm, 220mm and 980mm wide, 2 ply engineered and 6mm hardwood wear layer. 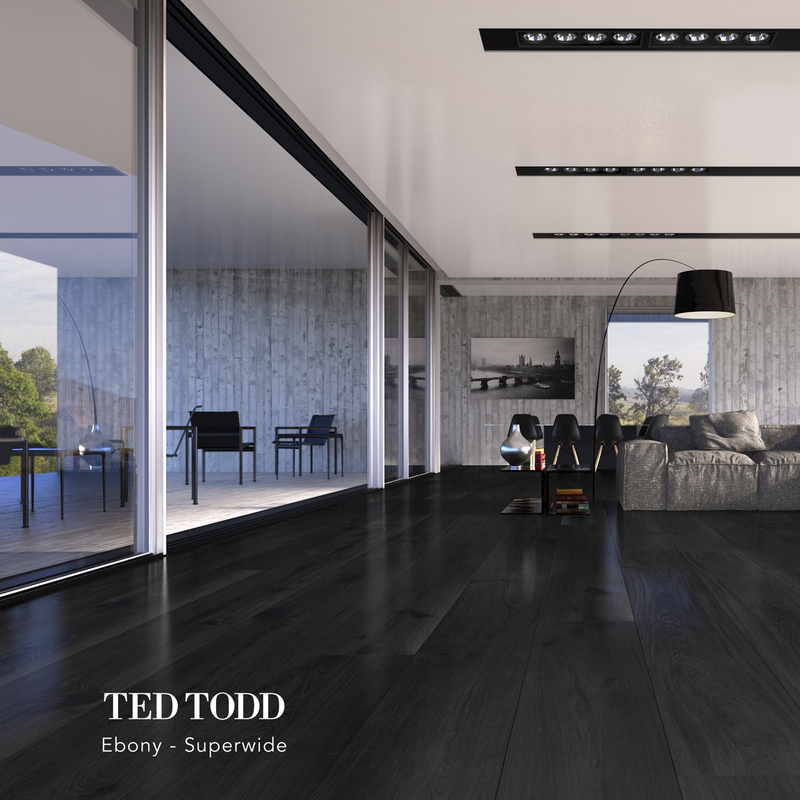 Ted Todd’s Superwide collection offers something a bit unique. 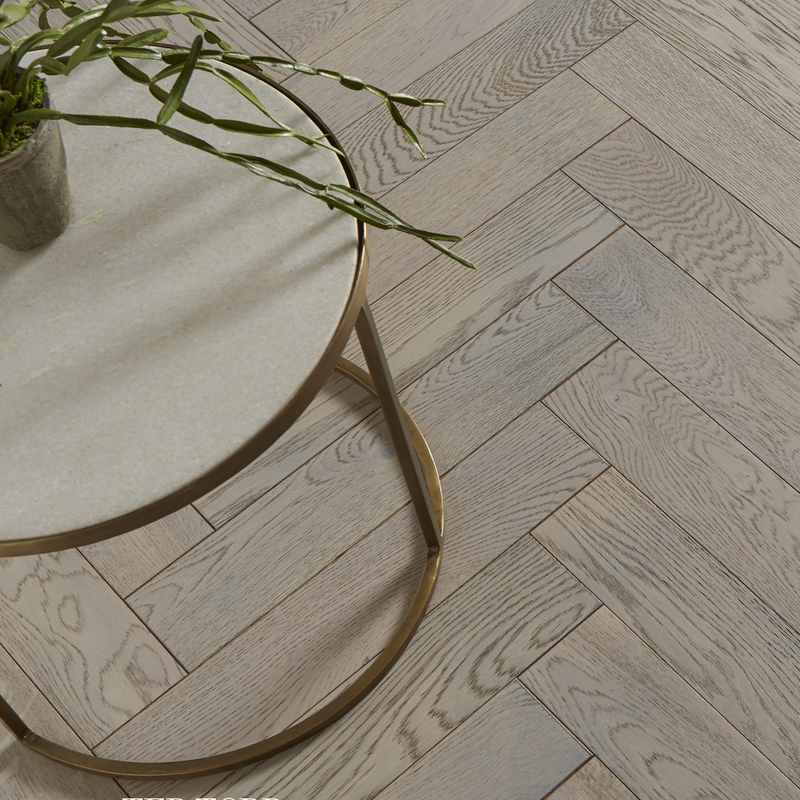 With oversize herringbone and majestic hues this collection is a celebration of flooring creativity. 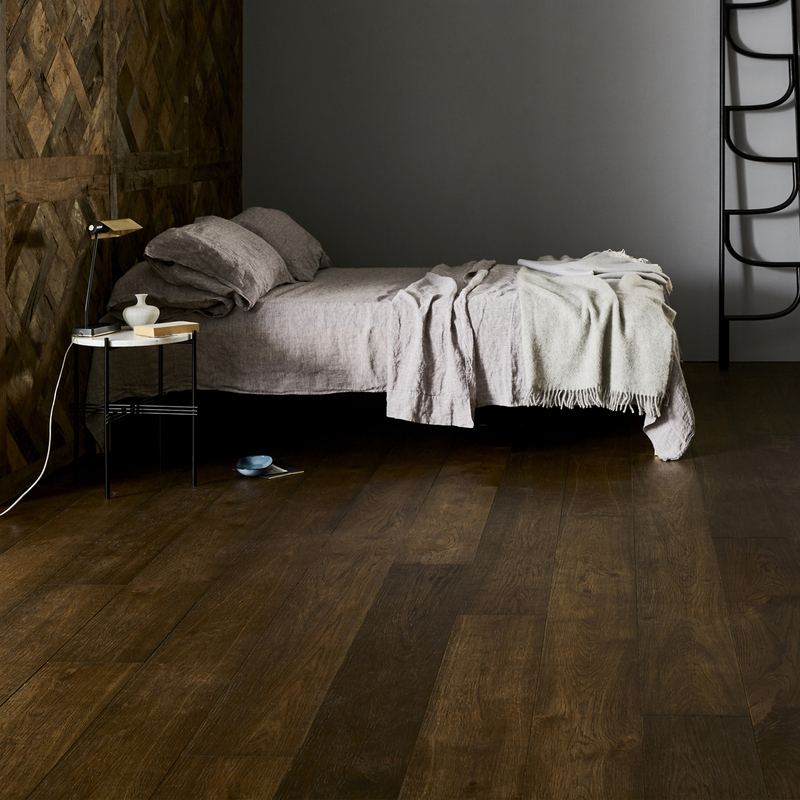 20mm European Oak, 200mm and 300mm wide, 2 ply engineered and 6mm hardwood wear layer. 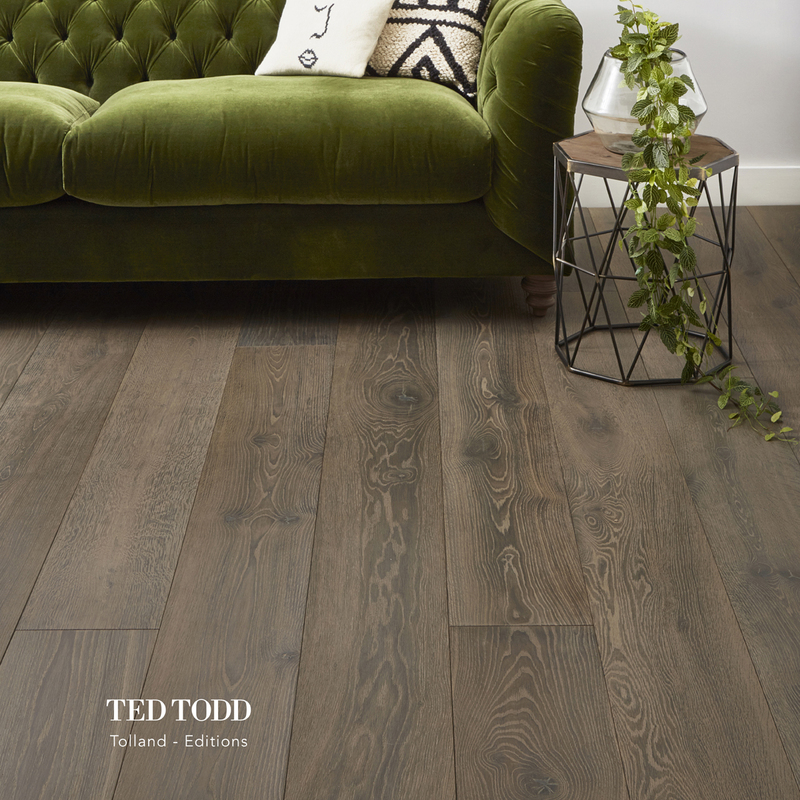 Disclaimer: All images on this page belong to Ted Todd and we are using their marketing materials to help display their beautiful products.